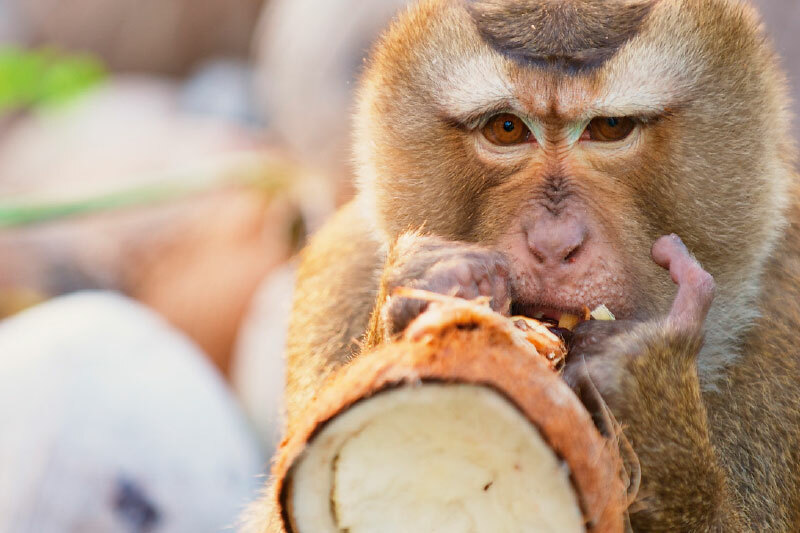 Imagine a fantasy island surrounded by clear blue where the ambrosia water of coconut can be yours with just a command to the local ‘monkey’ picker and friendly locals whose favourite pasttime is watching water buffaloes lock horns in a fight. This was Koh Samui then, as described by its first doctor who glances to the island’s future by looking back. As Samui’s first doctor – there was hardly a person on the island he didn’t treat – his astute eyes and calm manner makes him the best observer of island changes from his serene clinic on Chaweng. Although retired, he still keeps a close eye on the island happenings and developments. With a faraway look of remembrance, he remembers greeting the first foreign visitor to Samui in the 1960s when the island paradise was a relative unknown. “In the 1960s, the local patients I treated came to me because of dog bites,” he says with amusement. But adds with the seriousness of a physician, “Now, the cases are mostly of people falling off their motorbikes.” A lot of cases are surprise run-ins at sharp turns on the road and foreign tourists handling the unfamiliar power of a bike. Such is the Samui then and now, he points out. 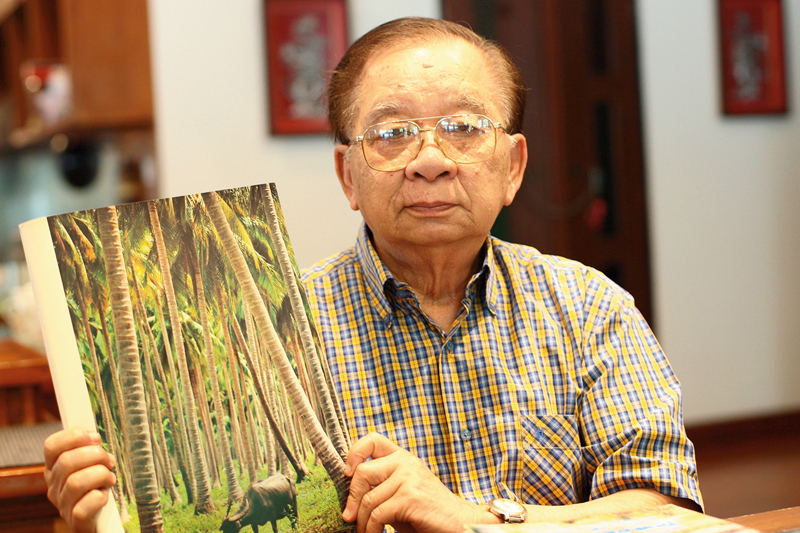 Sitting at home, he reminisces on a Samui that was less resort island and more a residential island with potential Dr. Suwit is of Chinese heritage who came at a younger age to be a general practitioner. In archival information, the earliest maps of Koh (island in Thai) Samui go as far back as the 17th century. “Accidental tourists” might be a better way to call the first group of visitors of fishermen, sailors and sea traders who chanced upon the island as they sought shelter from the storms and the treacherous waters along the Gulf of Thailand. So the first settlers of Chinese and Malay descent enjoyed the bountiful nature and natural resources that produced vegetation, fruit varieties, and fish and wildlife. 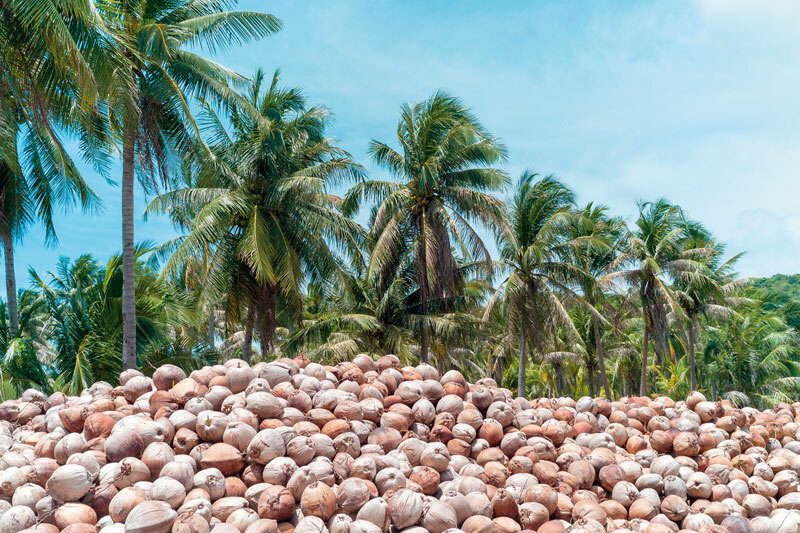 Across the seas to other parts of Thailand, stories circulated that on an island called Samui, money can be made on coconuts that numbered in the thousands and luscious tropical plants and fruits could be harvested. So more people started trickling in, eyes shining with the hope that Samui’s fruit bounty becomes a lucrative move. These days, there are shrines and memorials that acknowledge the first settlers. Dr. Suwit’s clinic is in Chaweng, a town, he says, that used to be an oyster village. 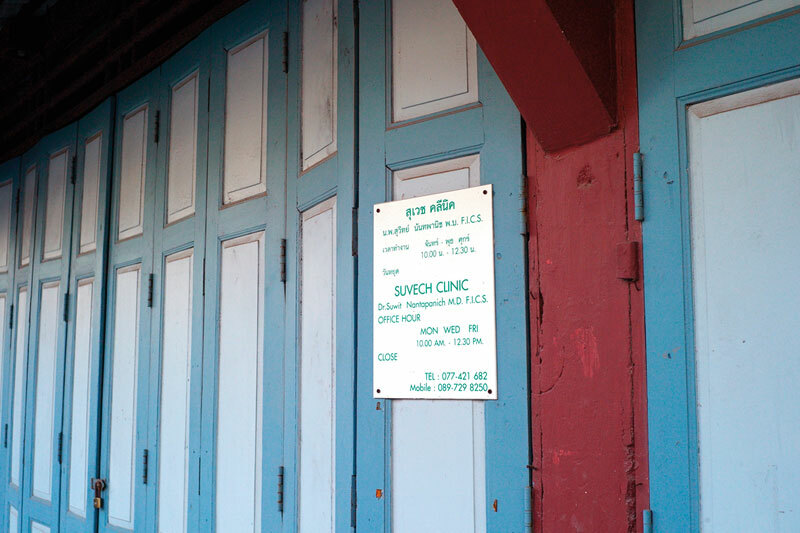 Located on a quiet street, the clinic in light green pastels showed the tranquil nostalgia of doctor’s visits. Nearby sits one of the oldest cinemas in a neighbourhood, while cosy restaurants offering local eats and an art gallery is situated near a market. Travel agency Kuoni brought the first group of foreign tourists to the quiet beauty of Samui, Dr. Suwit recalled. Then, there was no city planning, no roads or infrastructure Part of the stream of visitors were on a quest for enlightenment in the early 1960s, a hippie crowd that ventured to Samui on their way to Kathmandu.